William George Gale was born on 16 May 1917 in St. Mary’s Platt and was the son of George Gale & Georgina Ladhams. He attended Platt Primary School between 6 June 1922 and 27 August 1929 and then afterwards Borough Green School. The Gale family lived at 2 Kettle Cottage in Platt and during WWII William enlisted in the army and joined the Royal Artillery. 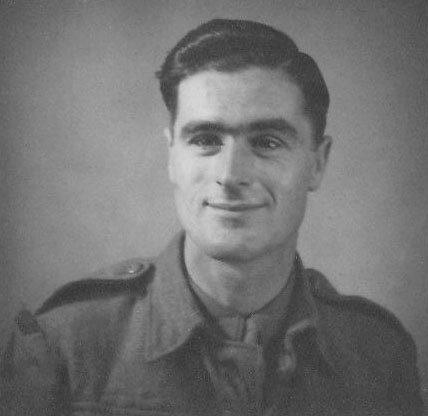 By 1945 he had risen to the rank of Lance Bombardier and was serving with the 7th Field Regiment, RA. William drowned on 9 April 1945 whilst crossing the Rhine near Arnham. He was a crew member of a self propelled gun that sank. Photograph of William Gale courtesy of Ian & Dianne Ritchie.